Chester "Chet" Carlos Martin was born August 2, 1924 in Los Angeles, California. His father, Caleb Martin, was born in 1892 in England. His mother, Elizabeth Price, was born in 1894 in England. During the Great War his parents both moved to Canada, where they met and married in 1922. They moved to America in 1924 and settled in Los Angeles, where the father worked as a steam engineer for a railway company. His parents had two children, Chester (b.1924), and Joseph (b.1926). The family lived at 1314 East 76th Place in Los Angeles. During the 1930s the family struggled with economic hardships of the Great Depression, which made a vivid impression on the two young brothers. On March 10, 1933 an earthquake in Long Beach, CA, also devastated the southern region of Los Angeles. As Chester Martin grew up he began to suffer chronic bouts of asthma. In 1939 a third child, Irene, was born. By that time the Martin Family enjoyed more financial security, because the father had become an attendant of a steam compressor at the Pacific Electric Company of Los Angeles. In 1939 Chester Martin was fifteen years old and a freshman at Fremont High School, where he enjoyed art classes and discovered an interest in drawing. He was inspired by the newspaper comic strips Prince Valiant by Hal Foster (1892-1982) and Flash Gordon by Alex Raymond (1909-1956). On March 27, 1943 during WWII Chester Martin left high school in the middle of his senior year to join the Army, although his asthma restricted him to stateside non-combat service. He was honorably discharged after the war ended in 1945. 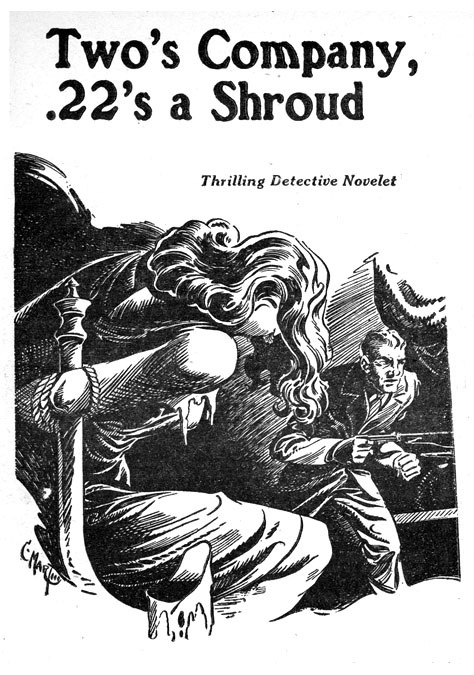 In November of 1945 Chester Martin sold his first pen-and-ink illustrations to Ace Magazines, a New York City pulp publishing house at 67 West 44th Street. 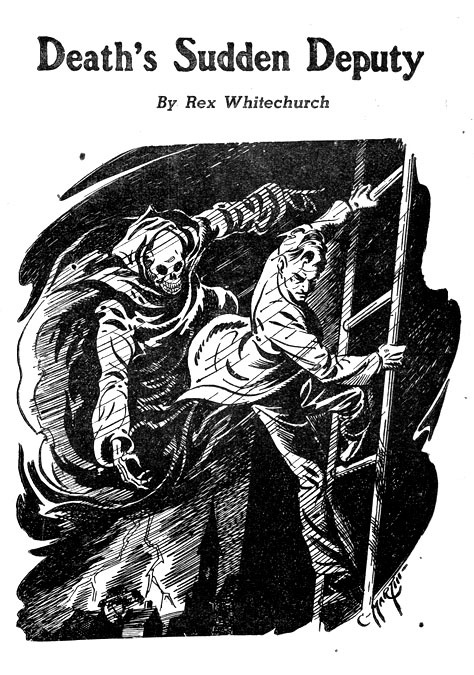 These earliest drawings appeared two months later in the January 1946 issue of Ten Detective Aces. In 1946 he moved to New York City to seek his fortune as a freelance illustrator in the publishing industry. He lived in a one-room apartment near the Empire State Building on 33rd Street and Fifth Avenue. Oddly enough, the NYC climate seemed to have a beneficial effect on lessening his bouts with asthma. 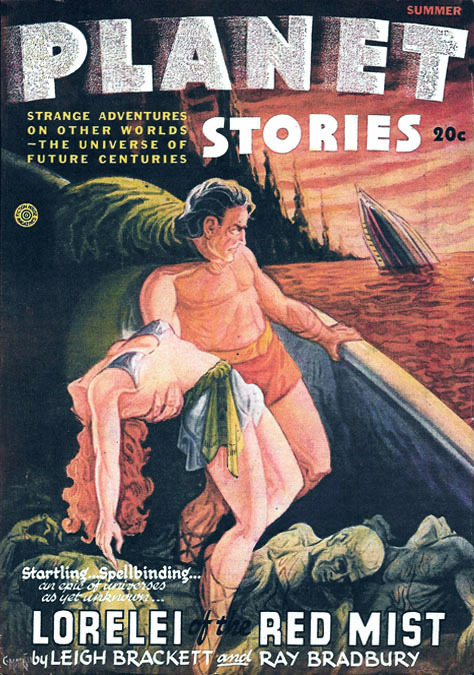 In 1946 he began to draw pen-and-ink story illustrations for the pulp magazine Planet Stories, which was produced by Fiction House at 670 Fifth Avenue at 53rd Street. 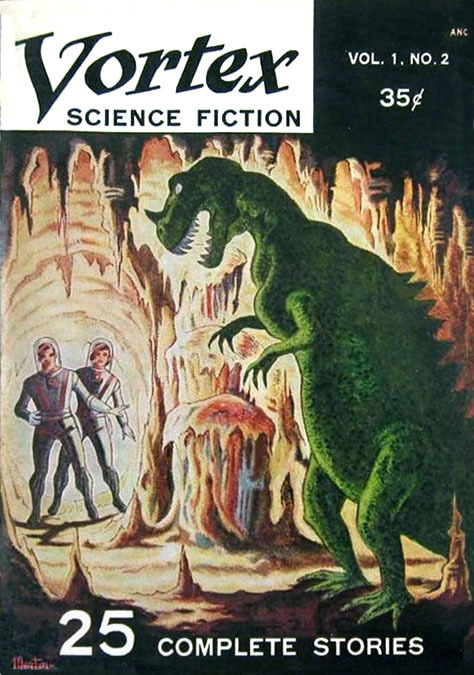 Along with black and white story illustrations, Chester Martin also drew a full color science-fiction comic feature for Fiction House, entitled Futura,which was published in Planet Comics. These were supplied to Fiction House by the Jerry Iger comic shop. He drew the first six installments of Futura, which appeared in issues #43 through #48. He did not sign the work or receive any printed credit as the artist. Futura continued to appear in subsequent issues of Planet Comics, but those installments were drawn by other artists. 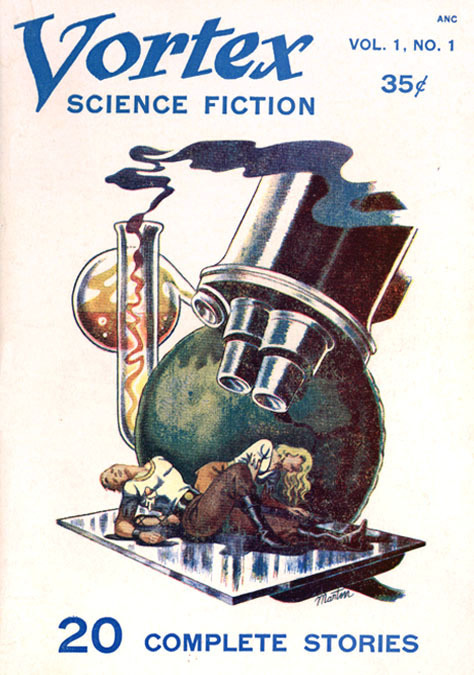 Also in 1946 Chester Martin created colorful drawings that Fiction House used for cover illustrations of the Summer, Fall, and Winter issues of the pulp magazine Planet Stories. The Summer issue included comments from the editor, Chester Whitehorn (1923-1996), in The Vizigraph section, which requested readers' opinions, "Let's have an idea of what you think about our new cover artist, Chester Martin. Does he fit the bill?" 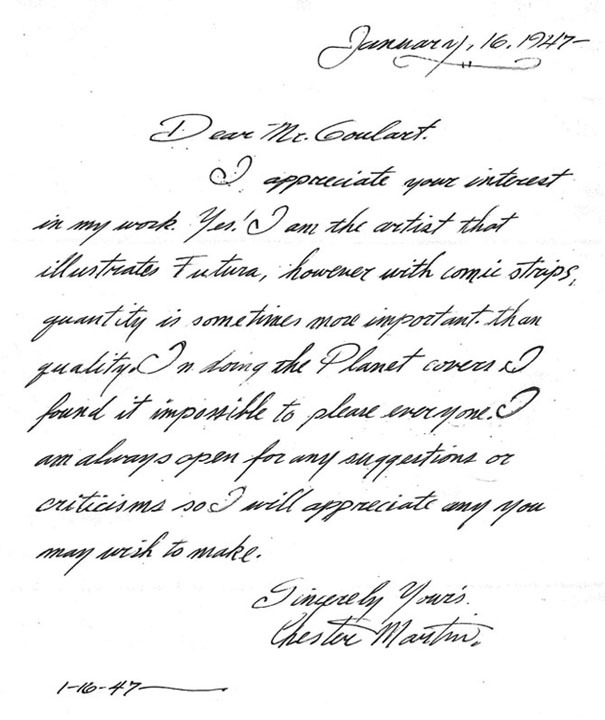 After reading this entreaty, a young fan named Ron Goulart replied to the editor at Fiction House in October 1946 to express his admiration for Chester Martin, and also to ask for confirmation of his suspicion that Chester Martin was the unidentified artist who drew Futura. On January 11, 1947 Chester Martin wrote a personal letter in response to thirteen-year-old Ron Goulart, "Yes. I am the artist that illustrates Futura." 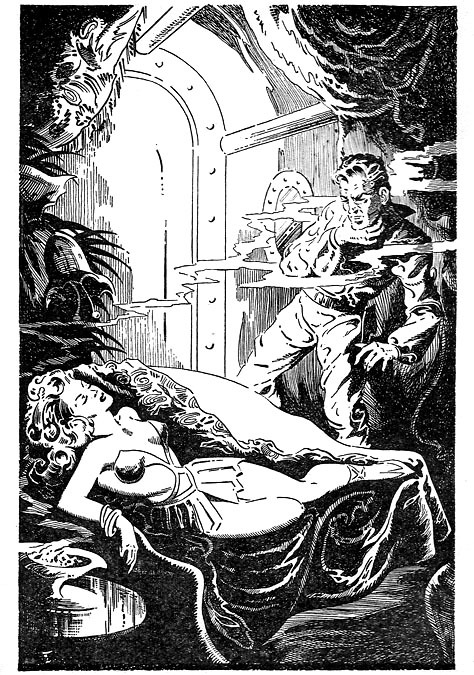 Chester Martin continued to draw pen-and-ink story illustrations for pulp magazines. He signed his work "C. Martin" or "C.M." 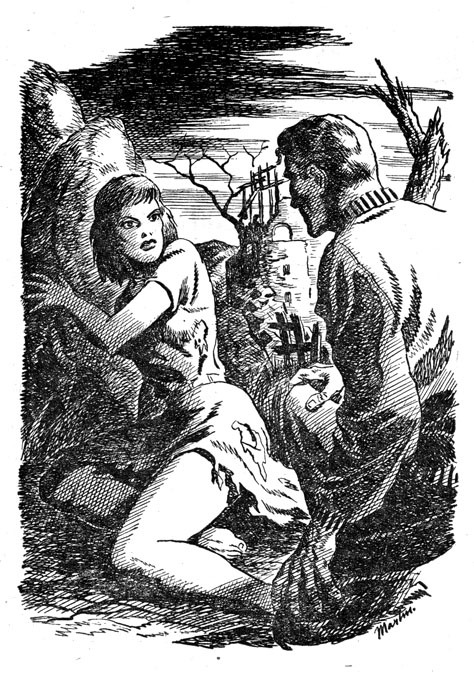 His last original pen-and-ink story illustrations for pulp magazines were published in 1949 in 10-Story Detective and Ten Detective Aces. In 1950 Chester Martin was a full time staff artist at the Jerry Iger comic shop. One new employee was the seventeen-year-old Murray Tinkelman (b.1933), who became a good friend and went on to a distinguished art career. Both artists began to study at the Brooklyn Museum Art School, located in the southern wing of the Brooklyn Art Museum at 200 Eastern Parkway. Their most influential art teacher was Reuben Tam (1916-1991), from Kaua'i Hawaii. According to Murray Tinkelman, "Chet Martin was a special kind of person. He was the first guy I ever knew who loved classical music and feeding pigeons in the park. He was a pacifist, a left-winger, but mostly a talented and sensitive artist." In the summer of 1951 Chester Martin met Diane Shalotsky at a big-band swing dance party at Roseland Theater. She had just turned twenty and he was twenty-seven. She was born December 22, 1931 in NYC of Jewish ancestry, and was raised on the Lower East Side. They married on February 29, 1952. After their marriage they moved to an apartment in Brooklyn, where she was attending Brooklyn College, from which she graduated in June of 1953. In 1953 the NYC Telephone Directory listed Chester Martin at 17 West 67th Street. This was a popular area for artist studios. 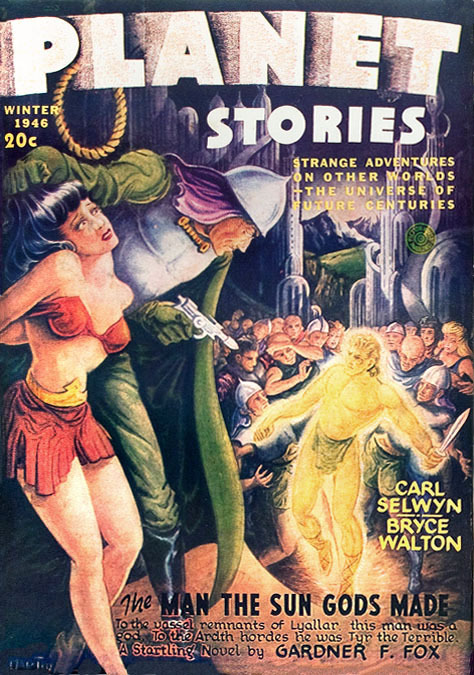 Other pulp artists that lived in this neighborhood included Norman Saunders, Richard Lillis, Rafael M. DeSoto, and George Gross. 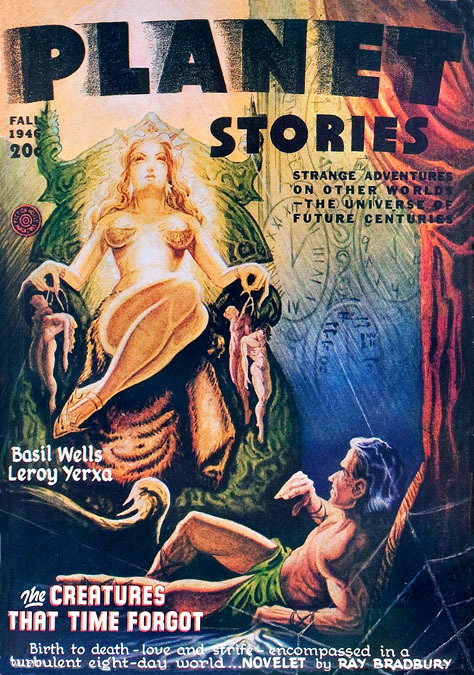 In 1953 Chester Martin was listed as Art Editor of Vortex Magazine, a science-fiction digest produced by Authentic Publications at 147 West 47th Street. The company name referred to their biggest seller, Authentic Guidance to Astrology. The same company also produced technical booklets, such as What To Do In Air Raids, How To Adjust Your Television Set, Automobile Trouble-Shooter, and construction plans for home builders, as well as road maps from a subsidiary, Geographica Map Company. Advertisements for these various publications appeared in Vortex. 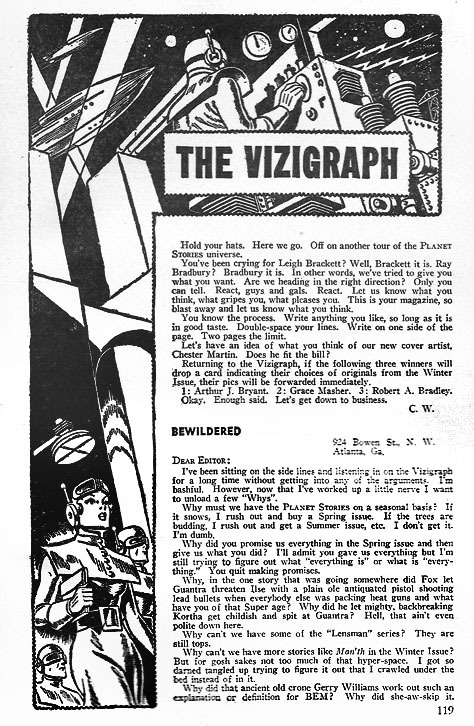 The Editor of Vortex was Chester Whitehorn, who seven years earlier first introduced Chester Martin to the public through his editorial comments in The Vizigraph section of Planet Stories. 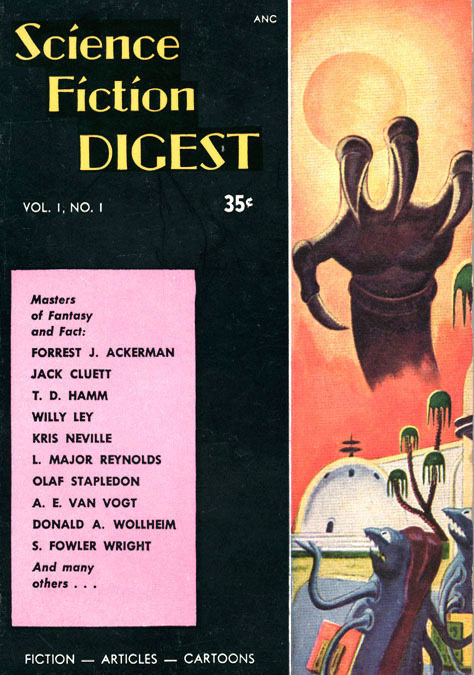 In 1954 Chester Martin painted the cover as well as interior story illustrations for Sci-Fi Digest. This magazine was again edited by the artist's greatest advocate, Chester Whitehorn. In 1957 Chester and Diane Martin moved to Rego Park, Queens. On September 30, 1958 Chester Martin’s son, Michael Martin, was born in NYC. 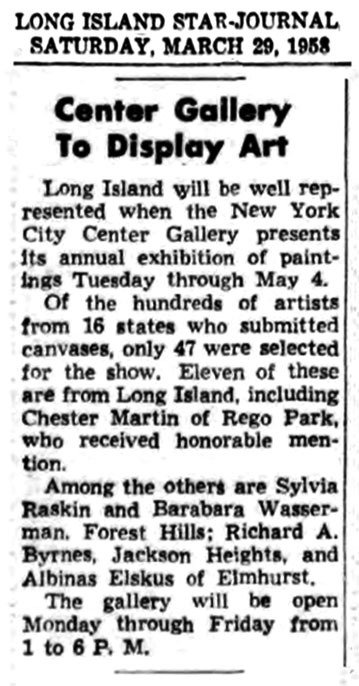 On November 29, 1958 The Brooklyn Daily Eagle reported that Chester Martin of Rego Park, Queens, NY, had received honorable mention for his painting on display at the Center Gallery. 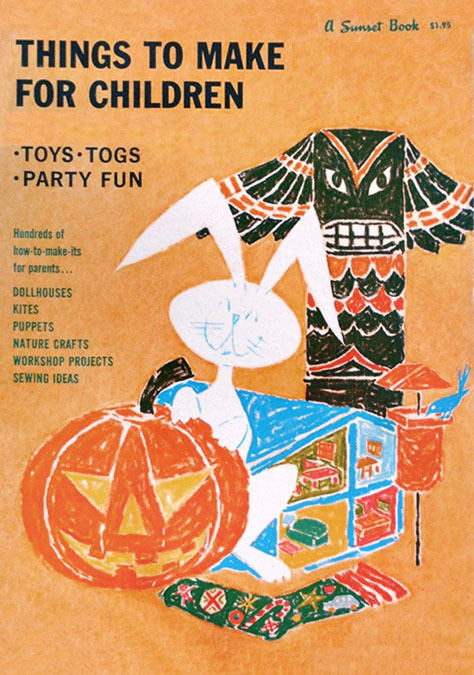 In 1960 Chester Martin and his family moved to Menlo Park, California, where he was hired to work as a staff artist at Lane Publishing Company. They produced Sunset Magazine. Although he he expected to also pursue an independent freelance career in California, the job quickly evolved into an Art Director, which After several months he quit the job and the family returned to NYC, where they again lived in Queens. 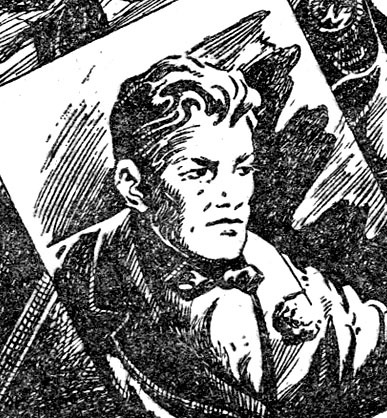 Chester Martin worked in NYC as a freelance illustrator, but continued to seek job opportunities in California. On August 23, 1961 a second son, Robert Martin, was born in Rego Park, Queens. In 1964 the Martin family left NYC and moved to Long Beach, CA, where Chester Martin worked as Art Editor at The Herald American newspaper of Compton, CA. In 1964 at the age of forty Chester Martin completed coursework to earn a General Equivalence Degree High School Diploma. In 1969 Chester Martin became a graphic artist in the promotional department of Bechtel Corporation, a massive international engineering firm that supplied power generators to cities around the world. He designed brochures, promotional publications, and even a large mural for a power plant in Egypt. Working for Bechtel Corporation was the high point of his career. It is curious that he became an artist at a company in California that manufactured power plants, while his father had worked for the Pacific Electric Company of Los Angeles. During the 1970s Chester Martin's wife, Diane Martin, worked as a supervisor at the California Department of Motor Vehicles. In 1988 Chester Martin retired from Bechtel Corporation, and his wife retired two years later. In 1990 they moved to Paramount, CA, where the artist painted landscapes. On February 28, 2002 Chester and Diane Martin celebrated their fiftieth wedding anniversary. On August 7, 2002 Diane Martin died at the age of seventy in Paramount, CA. In 2004 Chester Martin moved to a retirement community in Seal Beach, CA. According to the artist's son Michael, "Chester Martin was an artist, husband, father, and grandfather. He enjoyed classical music and reading The New York Review of Books. He would usually start out doing little drawings that would eventually become large paintings." Chester Martin died at the age of eighty-eight in Seal Beach, CA, on April 25, 2013.